Aside from original offerings and ideas, there have been a lot of remakes of American and British television shows hitting kdramaland as of late. Among those is the Korean version of the American television show “Suits”, which aired under the same title and ran for sixteen episodes on KBS. Now, many things can go wrong with a remake, and of course, they have to do the original justice while still being unique in its own way. Thankfully, “Suits” Korea was able to pull it off while adding its own flavor to it to make it a little bit different and refreshing as compared to its original. “Suits” aired on KBS for sixteen episodes from April 25 to June 14, 2018. It starred Jang Dong Gun as Choi Kang Seok, the counterpart of Gabriel Macht’s Harvey Specter; Park Hyung Sik as Go Yeon Woo, the counterpart of Patrick J. Adams’ Mike Ross; Choi Gwi Hwa as Chae Geun Sik, the counterpart of Rick Hoffman’s Louis Litt; Go Sung Hee as Kim Ji Na, the counterpart of Meghan Markle’s Rachel Zane; Chae Jung An as Hong Da Ham, the counterpart of Sarah Rafferty’s Donna Paulsen; and Jin Hee Jyung as Kang Ha Yeon, the counterpart of Gina Torres’ Jessica Pearson. The show is similar to the original in its premise, and managed to also incorporate some cases from the original show, and some story lines that were in other seasons in the American original, while still managing to be a little bit different in the way things were done making the entire season feel familiar yet different at the same time. “Suits” follows Go Yeon Woo (Park Hyung Sik), who is always down on his luck, yet possesses photographic memory. One day, he ends up in the same hotel as Choi Kang Seok (Jang Dong Gun), the best lawyer at the top law firm Kang & Ham, who was conducting interviews to recruit a new associate for himself and the firm. 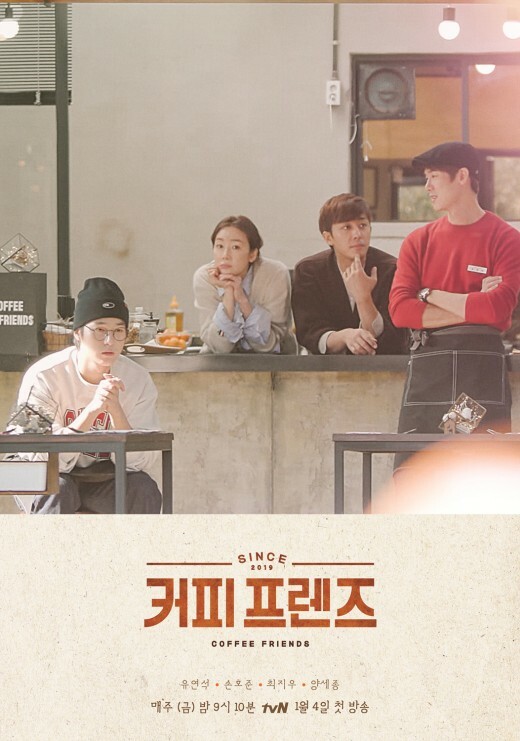 By a stroke of luck, Yeon Woo ends up meeting Kang Seok, and ends up getting the opportunity of a lifetime to work under him despite the fact that he doesn’t have a license as Kang Seok sees potential in him. The rest of the series follows the two as they navigate the cases they are assigned to work on, the relationships that occur as the episodes go by, and as shakeups that threaten them and the firm happen at Kang & Ham. The production quality was sleek, and the cinematography was good. Interestingly enough, while USA, the original “Suits'” home network, prefers blue skies and white clouds; this version opted for a more urban vibe full of gray buildings and gray skies. The pacing was just alright in the first half of the season, as Kang Seok and Yeon Woo start tackling cases together, but things really started to move forward and became interesting when things got too personal for both Kang Seok and Yeon Woo, and when things started happening at the firm that shook the status quo at Kang & Ham. They also had a different way of approaching each of the main characters, which was pretty refreshing. However, the only downside of having one season is that they weren’t really able to make much use of Chae Geun Sik (Choi Gwi Ha), until the very end. Here, Jang Dong Gun’s Kang Seok isn’t as flashy as Macht’s Specter; Park Hyung Sik’s Yeon Woo was harder to read and had a cockier attitude that matched the fact that he didn’t have a great past as compared to Adams’ Mike; Go Sung Hee’s Ji Na was quieter but it didn’t detract from her strong personality as compared to the sassiness of Markle’s Rachel; Chae Jung An’s Da Ham was devoted and confident as compared to the wit of Rafferty’s Donna; and Jin Hee Jyung had a quiet yet powerful confidence as Kang Ha Yeon as compared to the intimidating yet powerful figure of Torres’ Jessica Pearson. It was also interesting that they put different twists to some story lines and scenarios that were the same as the original. Personally, I liked this version more, and in particular, I did like the differences they put into the characters here as compared to the original. The last half of the series was really strong, and I was surprised that I found myself being more emotionally invested that I thought I would be. I also like the way they ended the series, and I’m really okay if it is just left at that with no second season. This version of “Suits” definitely lived up to the original version while still making it their own. Pacing wise though, you’ll have to get through the first half, which, I think makes great viewing if you watch it weekly; but the last half is definitely strong and is something that you’ll want to watch one episode after the other. Now, you know the drill, beyond this point, there will be spoilers! As mentioned earlier the changes that they did for how each character was portrayed here was different in a refreshing way. In the original, many were drawn to the charisma, confidence and swagger that Macht’s Specter had. So, it was quite refreshing that here, Kang Seok still has the same confidence that Specter has, that he still shows his colder side more often than not, all done in a performance that’s less flashy than Macht’s, but still has a strong impact and leaves a strong impression on the audience. Jang Dong Gun shows a lot in his eyes during performance, and it was just a delight to watch his character lose it emotionally for a few episodes, even though it was still very controlled. As a character, Kang Seok is very flawed and sometimes can be quite confusing as at times his actions and beliefs contradict each other. He has a tendency to be morally gray and judges situations based on his own set of beliefs. However, on the other hand, when it comes to protecting the people he cares and loves about, he will do everything to help them out. One of the things that was also refreshing was the fact that even if he didn’t say it outright, the fact that he said that he’d take the blame for Hong Da Ham’s (Chae Jung An) mistake during the last mock trial, and how he momentarily didn’t know exactly what to say to her said more than anything he could have said. Da Ham, here, was a little bit more upfront about her feelings about Kang Seok as compared to the original. She didn’t have the biting wit that Da Ham had, but she did embody her spirit and portrayed that character in the best way she could, and it came out well. Jin Hee Jyung’s Kang Ha Yeon wasn’t the intimidating force of nature that Torres’ Jessica Pearson was, but it was interesting that they chose her to be quieter, yet you still knew that she held all the power. Kim Young Ho was just deliciously awesome as the show’s main antagonist, Director Ham, and his appearance definitely allowed the show to finally get moving in terms of pace. Park Hyun Sik was great as Go Yeon Woo, and it was interesting that they chose to make his character be more brooding, and harder to read than Adams’ Mike. Throughout his life, Yeon Woo definitely puts up a facade so that others can’t really read him, although he does wear a very compassionate heart on his sleeve. I felt that having him be this way, matched with the fact that he had also done things in the past that he isn’t proud of, and his cocky nature. His relationship with Go Sung Hee’s Ji Na was definitely crucial to his character development, and I did like the fact that she knew that she had to be the more dominating one, since he is very much a beta male. Ji Na doesn’t have the sass that Markle’s Rachel has, but she definitely can hold her own against others, and isn’t afraid to steer when it comes to her relationship with Yeon Woo. She also has a quiet sort of confidence that doesn’t detract from how strong she can be. I was happy to see Go Sung Hee get a big role here as I thought the she was sorely underutilized in “While You Were Sleeping“. Some of the cases that they used for the series did come directly from the original show, and it was interesting how they incorporated the mock trial that involved Da Ham and planted evidence in the firm’s storage room, the main antagonist suddenly showing up to shake things up at the firm, and the merger all in one season. I also liked the changes that they made, especially the fact that during the last mock trial, it was Yeon Woo and not Geun Sik that asked Da Ham if she loves Kang Seok, and the fact that he actually said something either than to stop Yeon Woo from pushing her more. I also found it interesting that Yeon Woo was the one who voluntarily turned himself over to the cops, and that he served the full two years of his sentence. There is no doubt that he’ll still work with Kang Seok even after everything, and that he will still be with Ji Na after everything, but I wonder if they’ll find an interesting work around or try to find a way to get him to actually take the bar and become a lawyer for real. Of course, the open ended ending does allow for it to be the end, or to have a second season, but I’m pretty wary about second seasons as that track record in kdramaland is pretty hit or miss. In the end, despite it being a legal procedural, I also admired the fact that they put a lot of emphasis on the power that each person has when it comes to choosing what to do and to accept in full whatever consequence your choice may have. “Suits” was definitely a pleasant surprise that got better and better as the episodes went along, and is, all in all, a fun ride. Have you seen the Korean remake of “Suits”? What did you think of it? Let me know what you think in the comments below!